Hello cherished programmers, it’s Andy Gesner, here with a new clip from a striking new artistic voice from England. At HIP, our favorite clients have always been the unclassifiable ones – those musicians who transcend genre categories, and don’t fit comfortably in any pigeonhole. These artists do not typically have a readymade audience, but we’ve found that in the long run, it’s the nonconformists who attain the most commercial success. Paradoxical? Maybe. But those who challenge conventions are often more likely to catch the attention of the mainstream audience by presenting familiar sounds in unfamiliar combinations. Consider K’Dre, a videogenic Londoner with a passion for rock, soul, funk, rap, and contemporary ballads. His music is an amalgam of all these sources; informed by each of the genres but slavishly indebted to none of them. And Dark Star, his sparkling debut, is a radio-ready set that can be appreciated by hip-hop heads and rock aficionados alike. “Starnimals”, his latest single, is a good example of the sort of heat K’Dre can generate. His singing is as dynamic as that of any hard-edged R&B crooner, yet the drums pound and the six-strings scream. 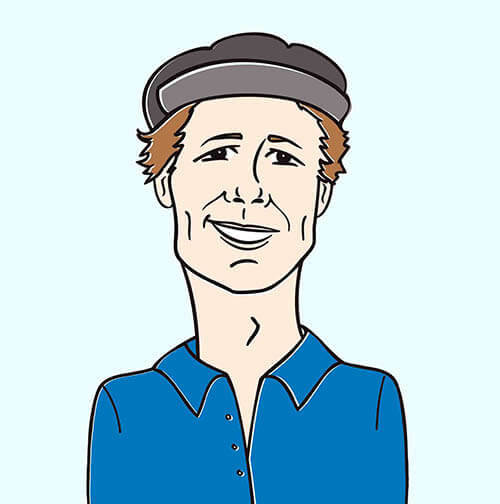 The chorus is pure infectious funk rock, akin to Prince at his most tunefully aggressive; and though the talented vocalist frequently sounds “on the verge”, his command on microphone never falters. And he can crune a ballad just as effectively as he can shout out a rocker – the aching “Dark Star Reality”, his prior single, demonstrates that beyond a doubt. He’ll perform both songs – and many other highlights from the multifaceted Dark Star – at his stateside debut at Sullivan Hall in New York City this spring. Director Loraine ffrench understands K’Dre: she’s worked with him before the making of “Starnimals”, and she knows how to coax a charismatic performance out of the offbeat singer. Her clip for “Dark Star Reality” captured K’Dre in a quietly introspective setting – she surrounded him with hundreds of tiny lights that cast intriguing shadows as he sang. 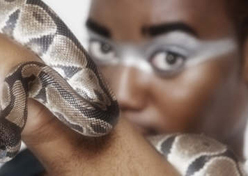 For the “Starnimals” video, she and K’Dre needed something that could match the arresting quality of the music – and she and the artist have found it in the serpent’s cage. Here, the singer and songwriter shares camera time and top billing with an array of spectacular snakes. They loop around his shoulders and slither between his fingers and over his lap. K’Dre isn’t freaked out by this at all; in fact, he seems to have an amazing repartee with these animals. They don’t exactly do his bidding – they’re clearly wild, and maybe even a bit dangerous – but they seem to understand the sentiment behind his passionate song. In one arresting image, K’Dre sings in a small glass booth with a powerful-looking serpent draped around his neck. There’s no door, and maybe no escape, and black cosmetic designs dance on the singer’s face as he howls his protest to the camera. It is a huge thrill for us to have the pleasure to work with K’Dre himself and Jackie Phillips at Dreamz Entertainment to bring you this must-see video. If you would like to get your hands on some copies of “Starnimals” CD single for on-air giveaways, please let us know! K’Dre will also in the US in June and you can be certain that we will be reaching out to those of you in the NYC area to set up some face to face interviews! If you need more info, call Andy Gesner at 732-613-1779 or e-mail us at info@HIPVideoPromo.com .